If you’ve ever been to Disney World, then you already know that Disney food is the best theme park food. 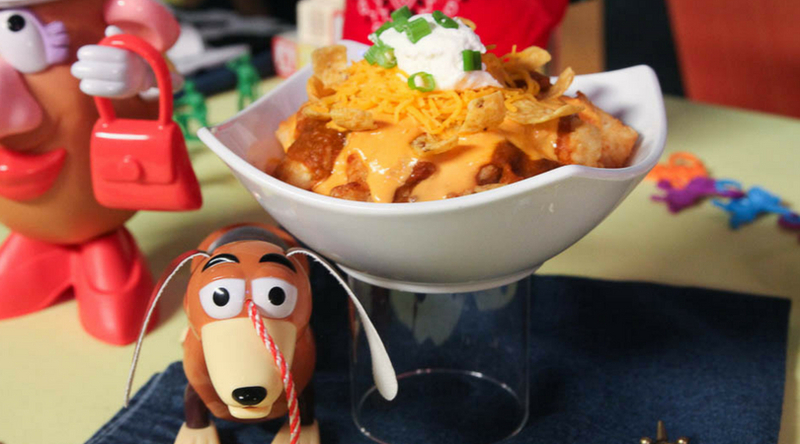 The food at Toy Story Land is no exception. 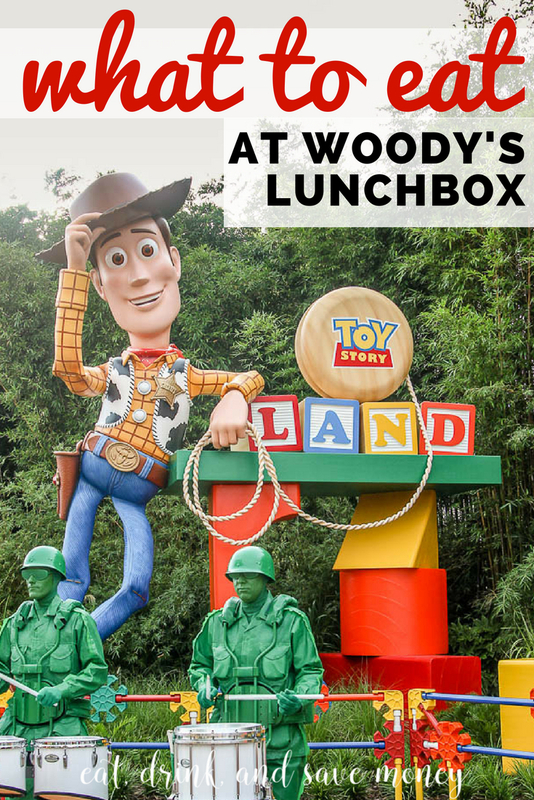 Before you head to Toy Story Land, read this post to figure out what to eat at Woody’s Lunch Box. Even though it’s all good, some dishes are a much better bang for your buck than others. A big thanks to Disney for inviting me and all the other TravelingMoms to the media preview of Toy Story Land! 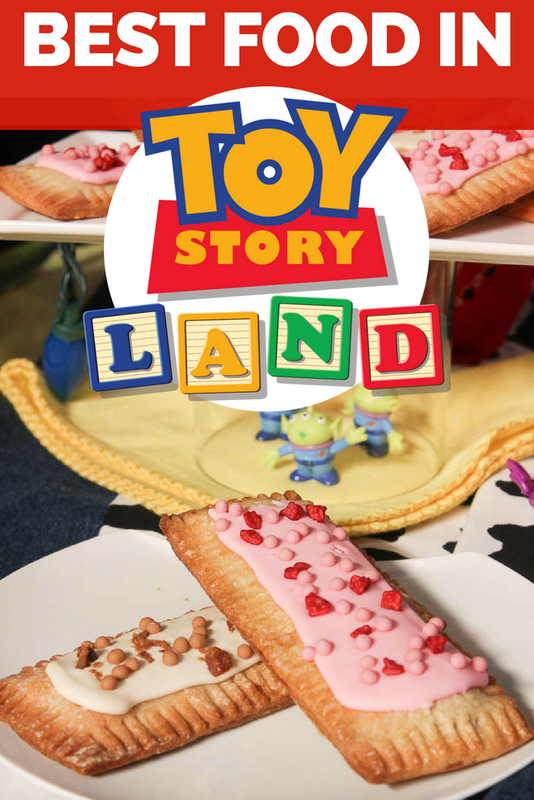 Follow #ToyStoryLand and #TMOMDisney to see all the fun we had! As a foodie, I’ve always thought that Disney World does food right. All theme parks sell overpriced food, but at Disney World, the overpriced food is a culinary delight, making it so much more enjoyable. We love the food so much that we save money just so we can enjoy the food in the park. Forget souvenirs and fancy hotel rooms. I just want to eat. Related Post: Disney with a Preschooler: Is it Worth the Cost? I had the chance to attend the media preview of Toy Story Land as a writer for TravelingMom. While all the other media were busy filming video and getting Instagram worthy pictures, I was the one going from food station to food station to try out all the new dishes. I had already stalked the Woody’s Lunch Box menu on the My Disney Experience app so I knew exactly what I wanted to eat. Just a few bites into my first sandwich and I had already decided that the food at Woody’s Lunch Box would be my favorite quick service restaurant in Hollywood Studios. To be honest, it wasn’t hard to win me over since Hollywood Studios was already my least favorite park for quick service food. The sit down restaurants are all great, but the quick service options have always disappointed me. I truly believe that most of the food is overpriced for what you get. For example, the $10 hotdogs from Dockside diner may be big enough to feed two people, but they aren’t anything special and certainly not worth $10 in my book. All of the food at Woody’s Lunch Box is delicious, but these are the dishes that you absolutely must try when eating in Toy Story Land. I promise, you won’t be disappointed. Unless you are a vegan. Then you probably shouldn’t eat here. 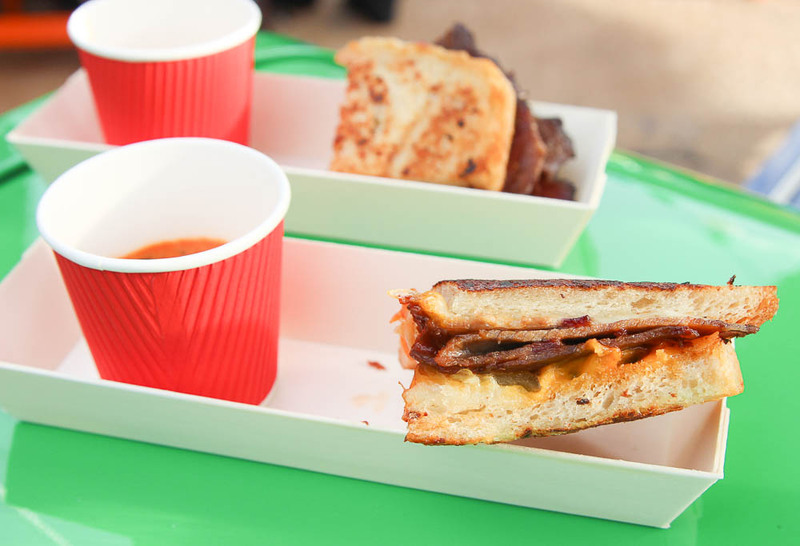 While I’ll never spend $10 for a hotdog in Disney World again, I’m totally fine spending $12.99 on the BBQ Brisket Melt because the meat is so tender and the barbecue sauce is so flavorful that each bite is exciting. It’s so good that a friend of mine who hates pickles, ate the whole thing before realizing she was eating pickles. True story. 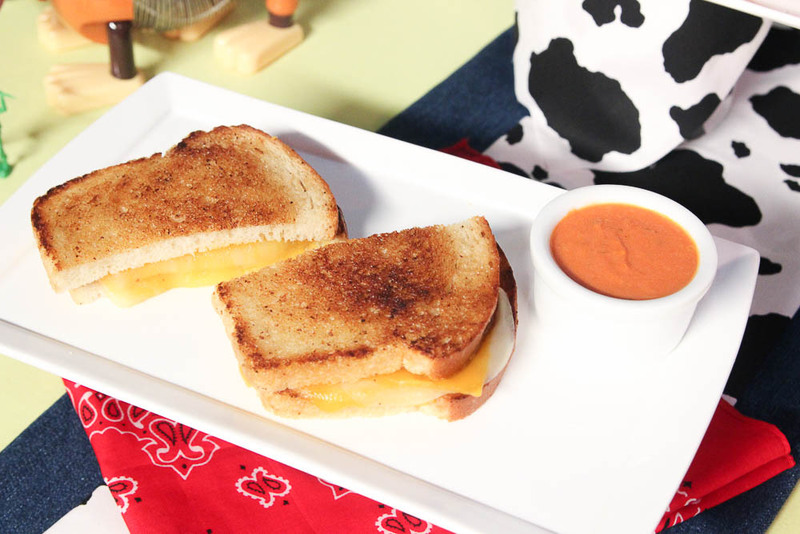 Get a side of the tomato basil soup for some sandwich dipping. 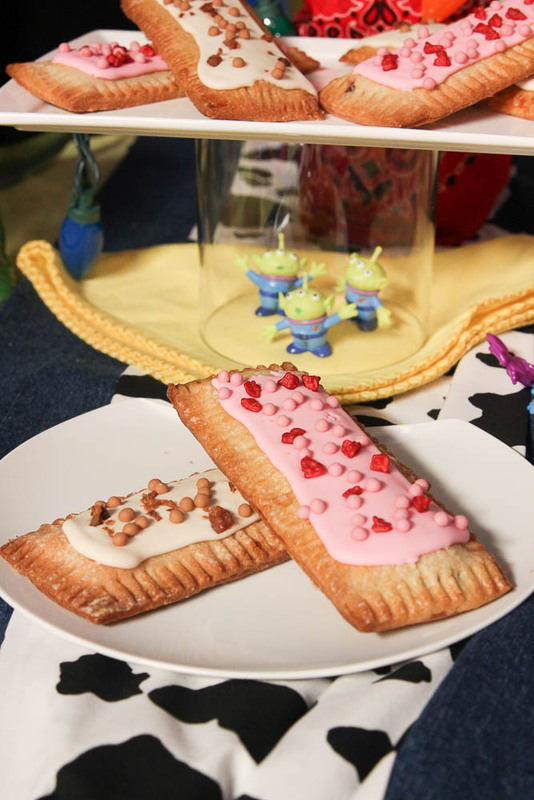 If you could only buy one thing at Woody’s Lunch Box, I’d recommend eating a lunch box tart. At $3.29, these are a steal because the tarts are big enough to serve as a snack for two or breakfast for one. You’ll be hard pressed to find a snack as filling as this one for the same price in Hollywood Studios. The lunch turkey sandwich is $9.99 and is the same size. 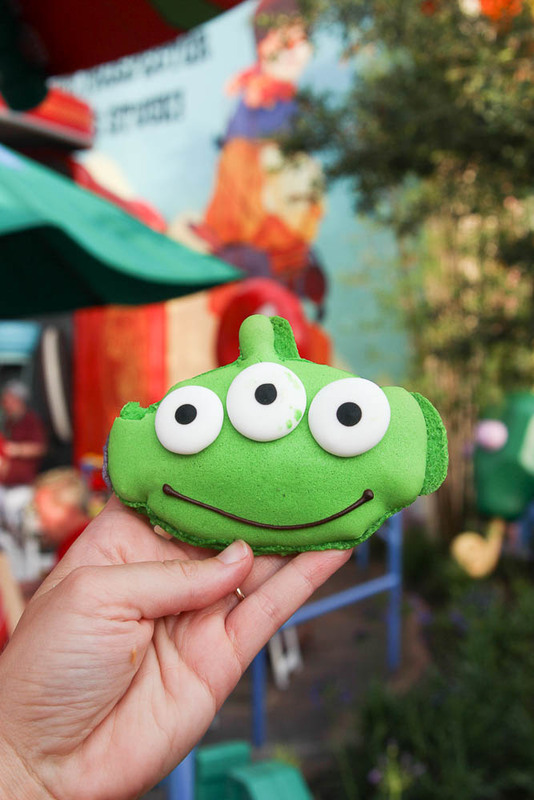 Head to Toy Story Land before breakfast is over and enjoy an early lunch for less! 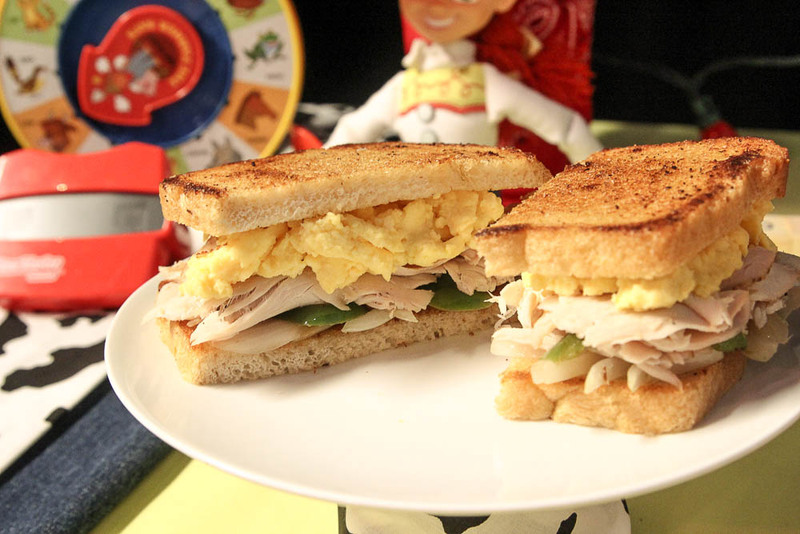 This sandwich is similar to the lunch smoked turkey, except it has the addition of scrambled eggs, peppers, and onions. 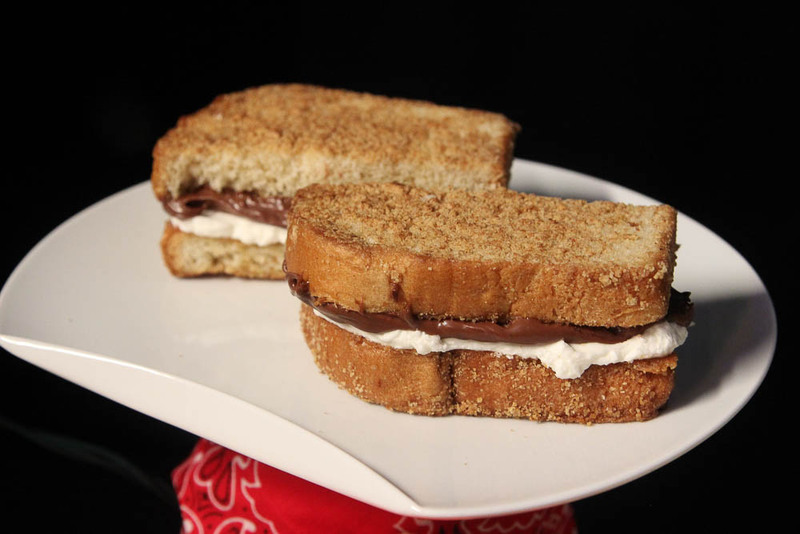 While this is pricey for a dessert style sandwich, it’s a must try. I mean, really, can you go wrong with marshmallow and chocolate ganache stuffed into brioche with graham cracker crumbles? The answer is no. All of these dishes are still delicious, however, I’m not convinced they are worth the high theme park price tags. 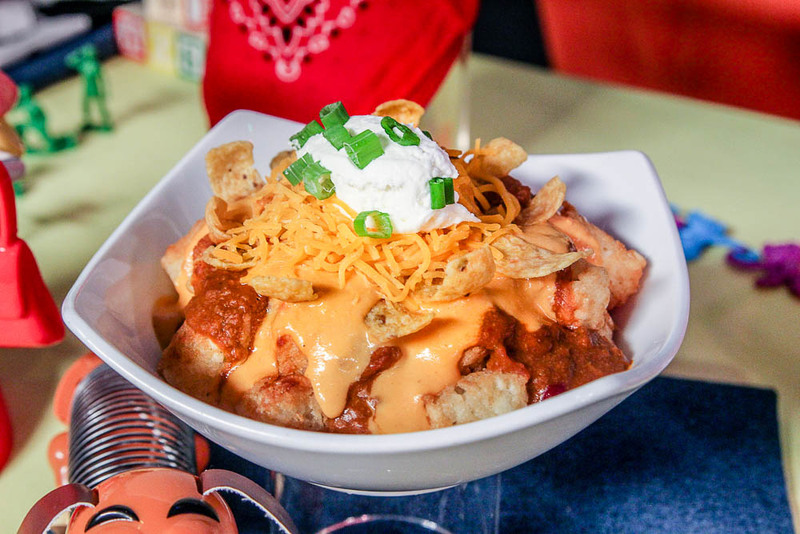 Totchos are exactly what they sound like: tater tot nachos. If you are a fan of potato barrels and all of the fixings on traditional nachos, you will love this dish. However, if you are like me and like your chili a little thicker, you may want to pass on this one. I’m not too sure it’s worth the $8.99 price tag. I’m sorry, but I can’t pay 9 bucks for a grilled cheese sandwich, no matter how delicious it is! Buy the kids portion instead at $5.99 and get half a portion with potato barrels, an orange and a drink. Watch my YouTube video where one of the cast members on the Disney food & beverage staff explains each of the new dishes. I got very hungry just filming it! To see the full Woody’s Lunch Box menu, go to the Disney Experience website. Which food excites you the most? Have you tried any of these yet? BTW- I didn’t try these alien cookies at the media preview but I sure do hope they sell them in the park. Aren’t they adorable? It all looks good but the lunch tarts jumped out to me as I have a huge sweet tooth. If you have a sweet tooth, you will love the lunch box tarts!